Day three in Vancouver! I think I could live in a tent. Forever. As long as forever only included pleasant weather and no rain. 🙂 I just love being outdoors! And Vancouver is the perfect place to visit (or live!) if one loves being outdoors! My third day in Vancouver was spent almost entirely outside (come to think of it, every day I was here was spent almost entirely outside!). While doing research for this trip, I kept coming across information for various suspension bridges, the most prominent being the Capilano Suspension Bridge. It’s also the most expensive. But Teresa and I had decided this was something we wanted to do. 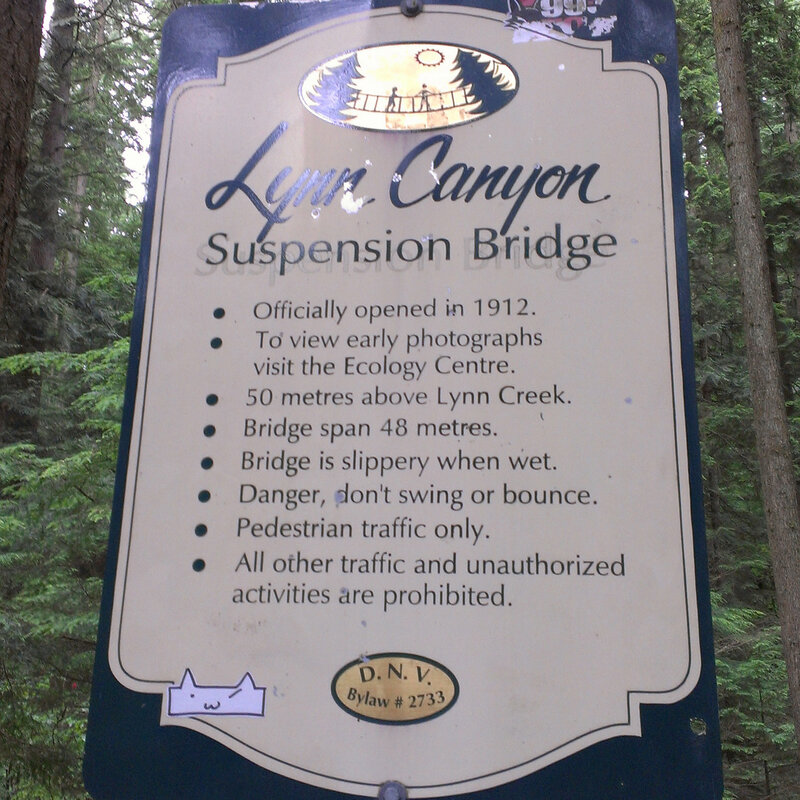 After arriving here though and talking with some people, we were advised more than once to forego the Capilano Bridge and go instead to the Lynn Canyon Suspension Bridge – a smaller but free option. 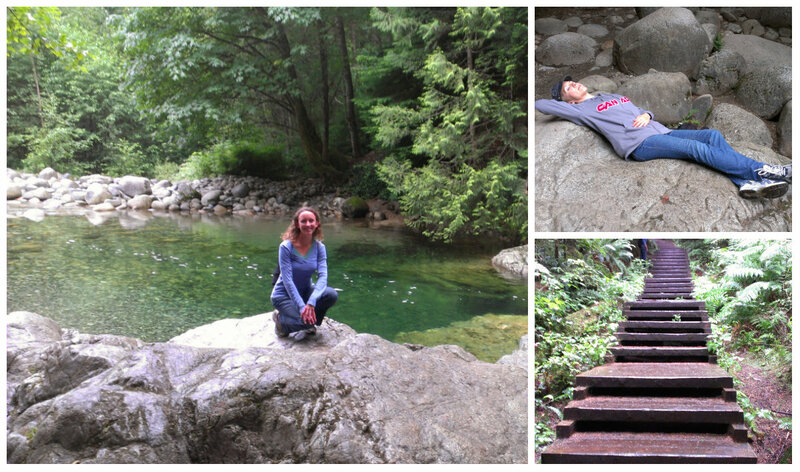 So we decided to save our money and go to Lynn Canyon Park instead. Very good decision! 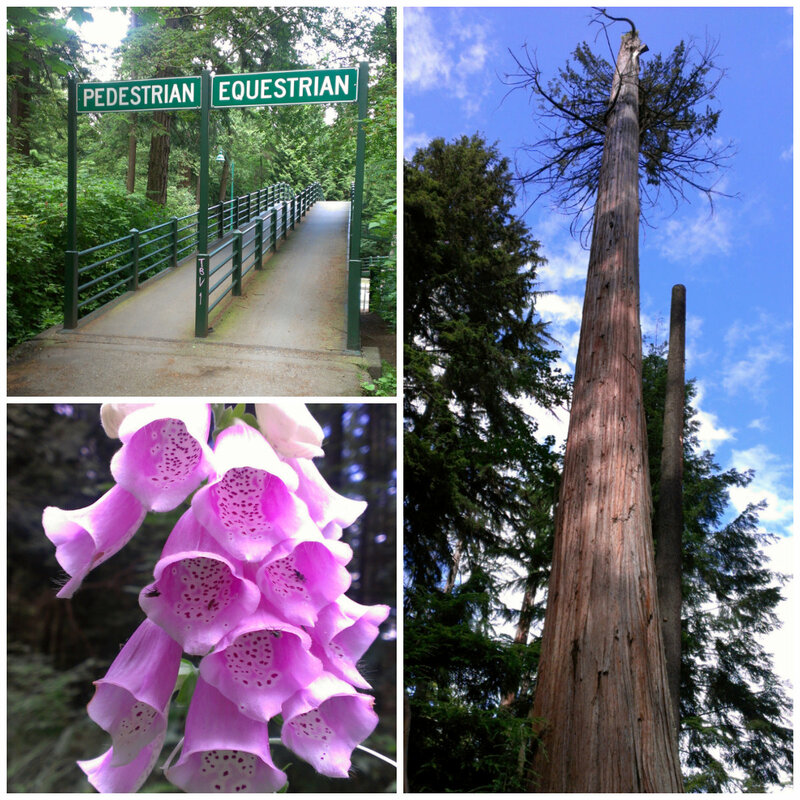 I would still like to visit Capilano someday but I’m glad we chose Lynn Canyon for this trip. Most people probably park at the Ecology Centre and Café but we somehow ended up on the opposite side of the park and parked instead near the north entrance at the top of Lynn Valley Road. This ended up being perfect as we were able to enjoy some amazing and beautiful hiking trails to the bridge and back. 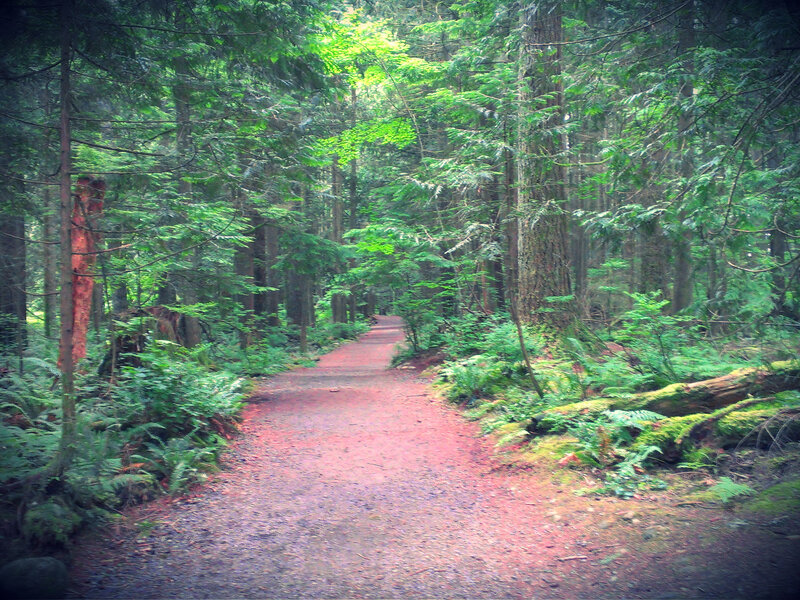 It was a bit drizzly when we started out but it just made the surrounding forest more beautiful and mystical. We hiked first to the 30-foot pool then continued on to the suspension bridge. This hike was extremely enjoyable and beautiful – be warned though that there are a lot of stairs along the way. The suspension bridge was pretty neat – not too long and not too high – but still the longest/highest one I’ve ever been on! It was also pretty crowded but that’s to be expected. After going back and forth across the bridge, we hiked along some more trails and then back to our car. Whew! What a workout! 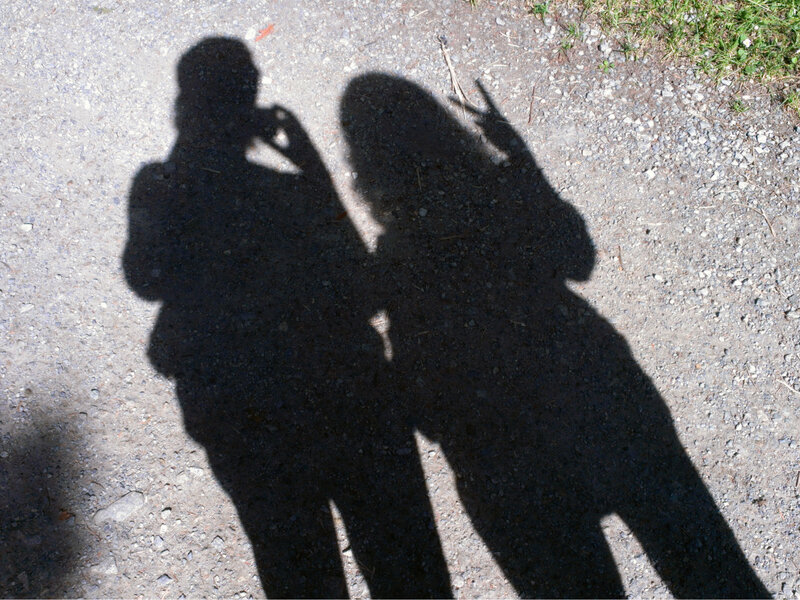 We headed next to Stanley Park. Now I mentioned in my last post that this park is one of the things that draws me to live here! I love it! 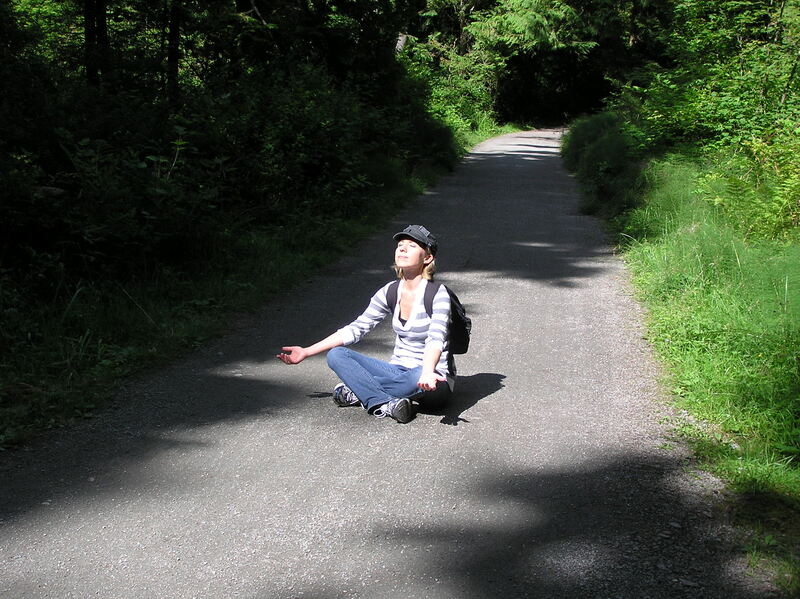 It’s over 1000 acres and sits along the edge of downtown Vancouver and the Pacific Ocean. It is a Canadian National Historic Site and is one of the great urban parks of the world. It’s certainly my favorite urban park! Most of the park is forest with more than 40 miles of trails running through it. There are also numerous restaurants and snack shacks as well as recreational facilities (including a seaside swimming pool, tennis courts, miniature railroad), gardens, beaches and monuments (totem polls, anyone?). But my favorite attraction is the seawall – a 5.5-mile paved path that circles the park (and extends beyond the park for an additional nine miles). All parking within the park is metered but the meters take credit cards (for those of us who rarely have cash on hand). We parked along the road near Prospect Point. First on the agenda was ice cream! Yum!! We were directed to a path that lead down to the seawall and came out under the Lions Gate Bridge. 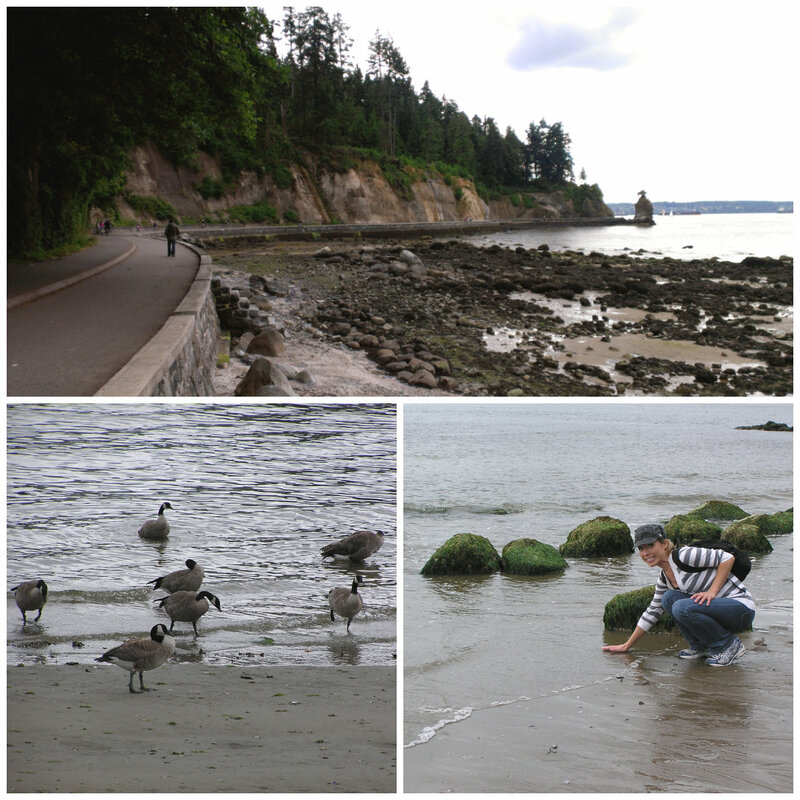 The walk along the seawall was so lovely! We went from Prospect Point to Second Beach (about 4km) and then took a path through the park and forests back up to Prospect Point. The weather at this point was perfect! The clouds had pretty much disappeared and the sun was nice and warm! Back in our car we made our way to the Totem Park to take a few pictures of the totem poles and the cityscape across the water then jumped back in the car to head to our B&B to freshen up a bit. 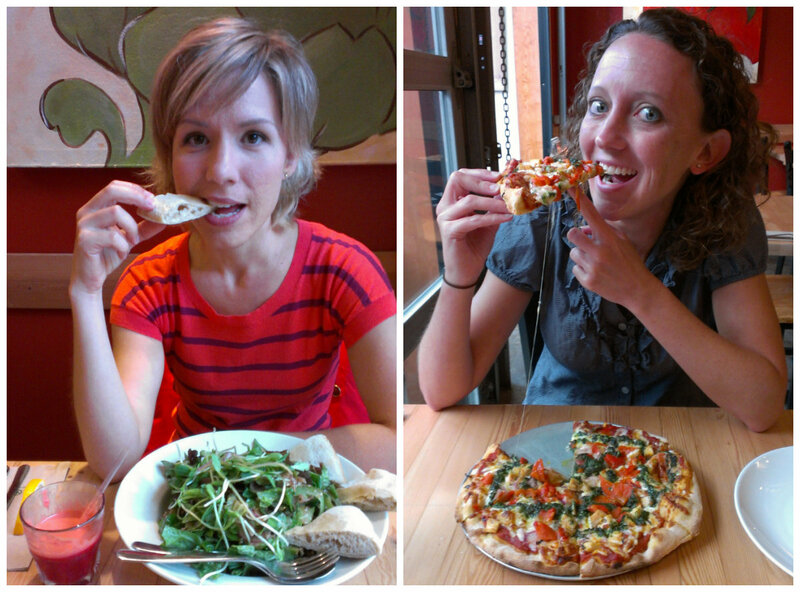 This being our last night in Vancouver (sniff, sniff), we decided to go out and have a decent dinner. We ended up at Rocky Mountain Flatbread Co. and I would be one of the happiest people in the world if one of these restaurants opened up in Central Florida! I loved it!! I started with some fresh apple, carrot, beet juice (I was missing my daily green smoothies just a bit) and then had a most wonderful salad. Teresa had a delicious-looking, wood fire-grilled pizza (we had a great view of the fire and the pizzas going in). 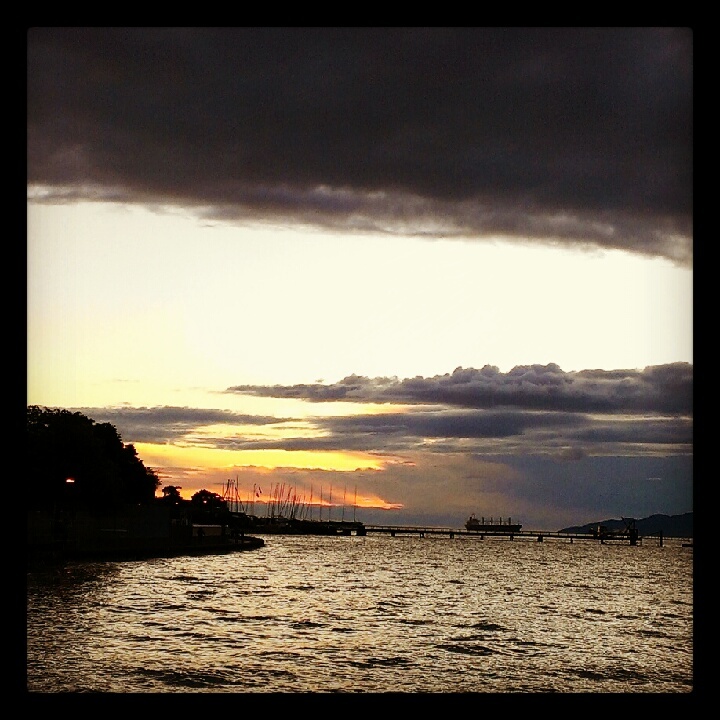 After dinner we walked to Kitsilano Beach to watch the sunset. So beautiful! Colorful Leaves, Comfy Clothes, & College Football: Bring on Fall!! !